It is the season of pumpkins, squashes, couregettes, and all their lovely cousins and family (of gourds of course). 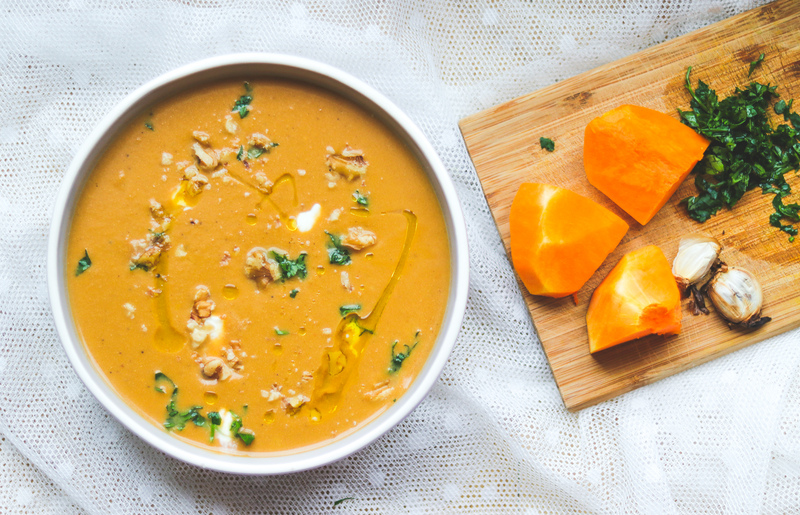 The stores are right now flooded with a number of squashes, and other gourds, which have a really nice and juicy flesh to make broths ,soups, and pies, and breads, and muffins and veggies and phew!!! the list goes on, and on . There are loads and loads of interesting recipes, you can cook using these. 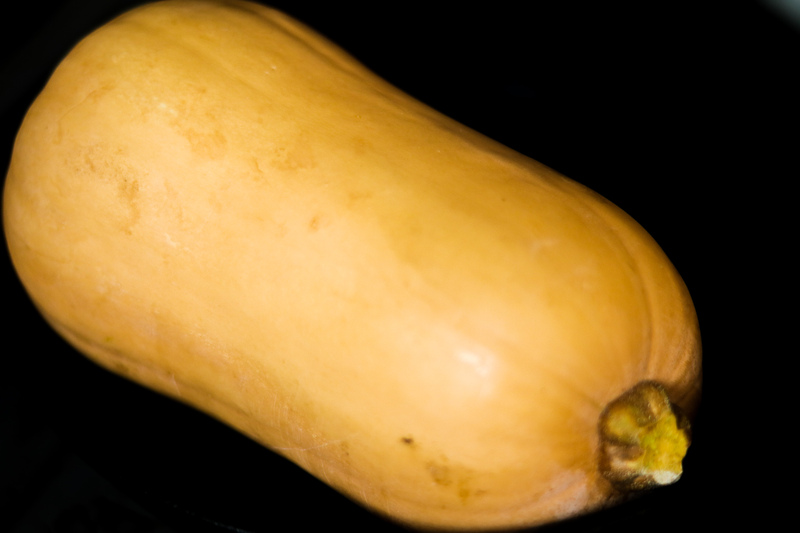 This season I’m really enjoying a variety of soups using these gourds. 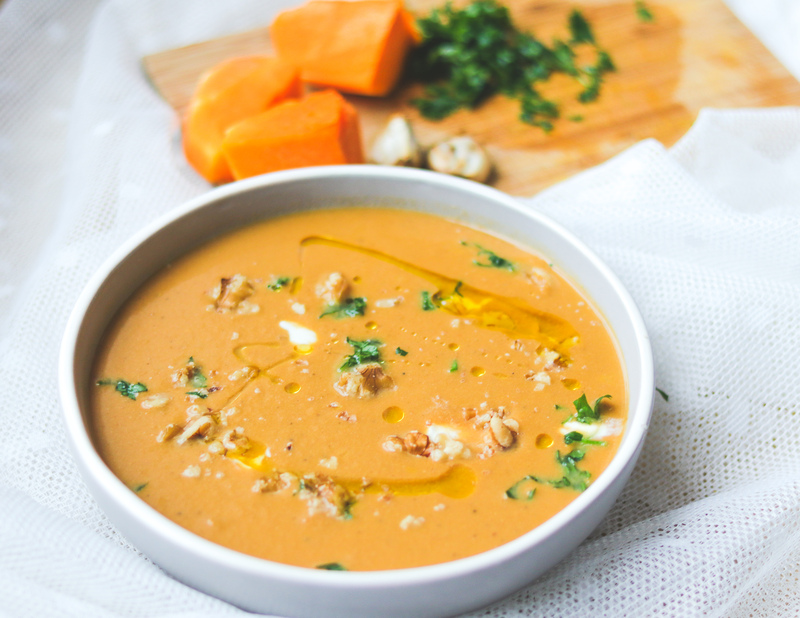 One of my favourites is Butternut squash soup. I tried making butternut squash last season, and it turned out nice. 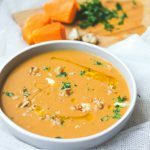 This time, I made a few changes in my recipe, and have made this soup almost 4-5 times, and everytime it has turned out really creamy and delicious. 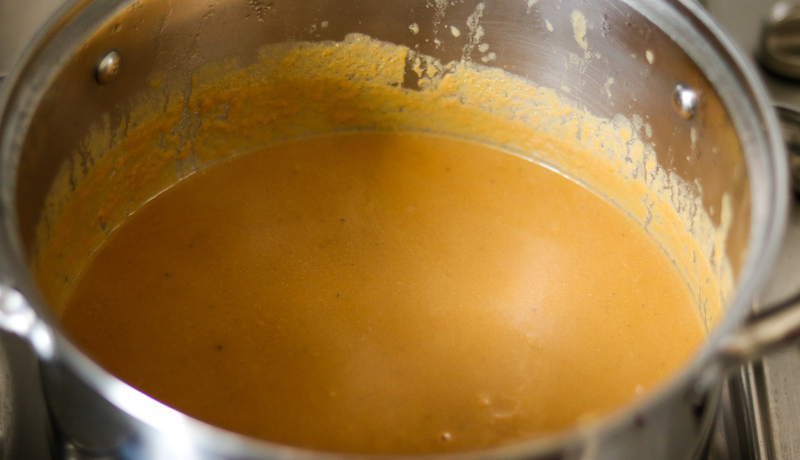 It has now become my staple recipe to cook this soup every time.Check out the details below. 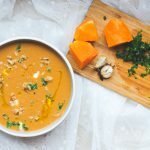 This recipe is really simple, and you do not need too many ingredients.You would just need – butternut squash, walnuts, garlic ,peppercorns, onions and water or vegetable stock. If you have vegetable stock, you can add that. I prefer to use water, instead of any store bought vegetable stock , as I do not like the added salt and preservatives in the store bought vegetable stocks. 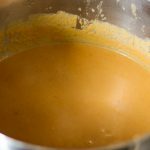 If you have homemade vegetable stock, you can use that. 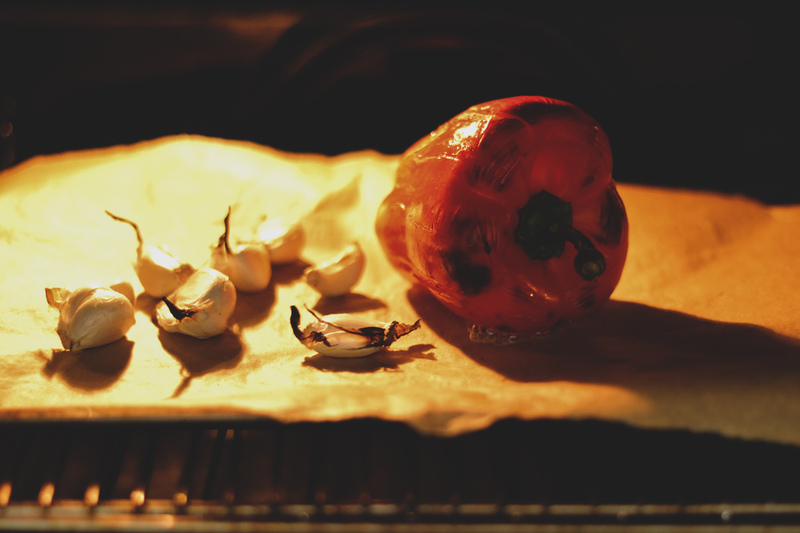 Off late I have started using more of roasted garlic in some of my recipes , as the flavour of roasted garlic is so much more prominent than fresh garlic, and it really enhances the flavour of some of the dishes. 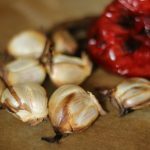 It is completely your choice, if you want to use fresh garlic or roasted one.In this recipe, I like the flavour of roasted garlic more, so i add that. Separate the garlic pods, and without removing the outer skin, toast these on an iron pan for 8-10 minutes, till the skin starts turning black. Separate the garlic pods, and without removing the outer skin, keep them on a tray ,in a preheated oven at around 220-230 degrees centigrade, and let them roast for about 10 minutes, till the outer skin starts turning black.I usually do this. when I’m using the oven to roast other veggies, or potatoes and I’m using oven for something else. 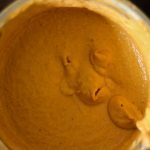 To use, just peel the outer skin and add to whatever dish you are making.This can be stored in the fridge, with skin on,for 8-10 days. To start cooking, heat a little oil in a pan. 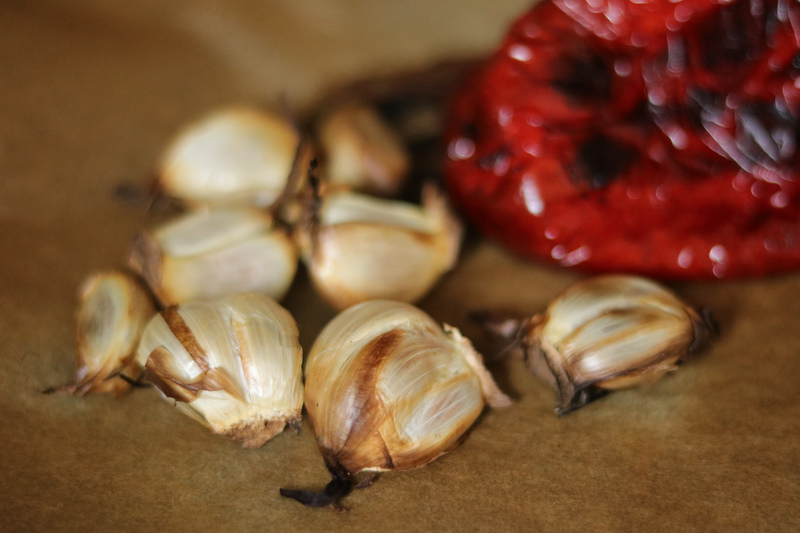 Add pealed roasted garlic cloves (or fresh ), sautè for a minute. Add chopped/sliced onions, and again sautè. Now add roughly cut butternut squash slices, a few whole peppercorns. Add a little salt. Mix everything well. 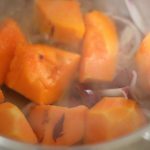 Add a little water.Cover and let cook for 15 minutes, till the butternut squash slices become tender. 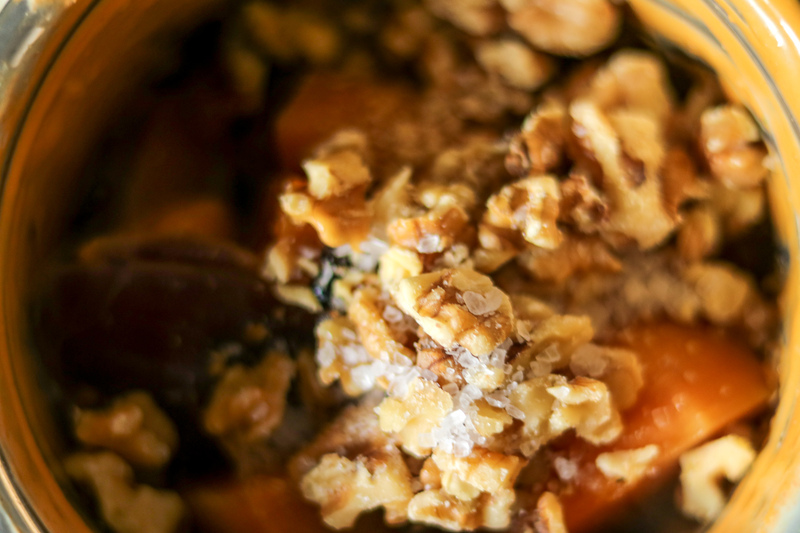 Add walnuts, in this butternut squash mix, and stir well. 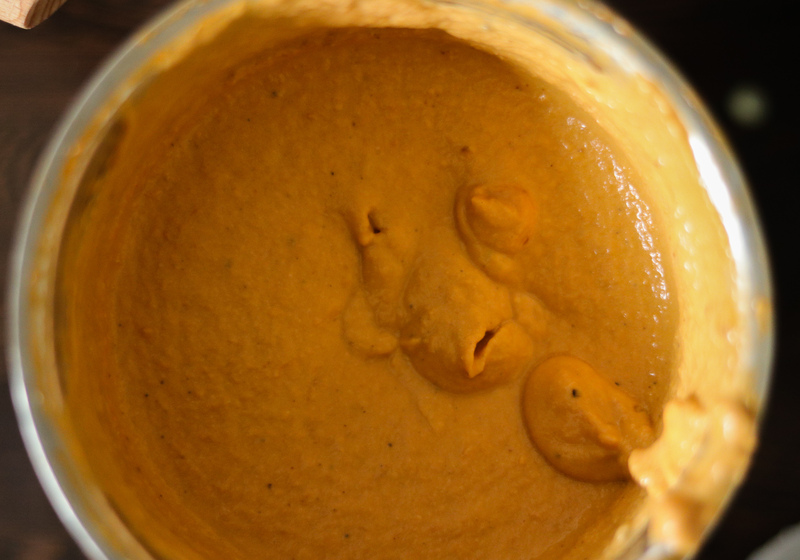 Put everything is grinder , add a little salt and grind to a fine paste. Now in a pan, add a few drops of oil, and add chopped roasted garlic. Sauté for a minute and add butternut squash puree. Mix well, add water (or vegetable stock) .Bring to a boil. Adjust seasoning as per taste. Add a little cayenne pepper(or paprika), and freshly ground pepper. Pour in soup bowls, top with a dollop of sour cream(or fresh cream), evoo . chopped walnuts and watercress. Serve hot, with a side of crusty bread. Heat a little oil in pan. Add pealed roasted garlic cloves (or fresh ), sautè for a minute. Add chopped onions, and again sautè. Now add roughly cut butternut squash slices, a few whole peppercorns, a little salt. Mix everything well. 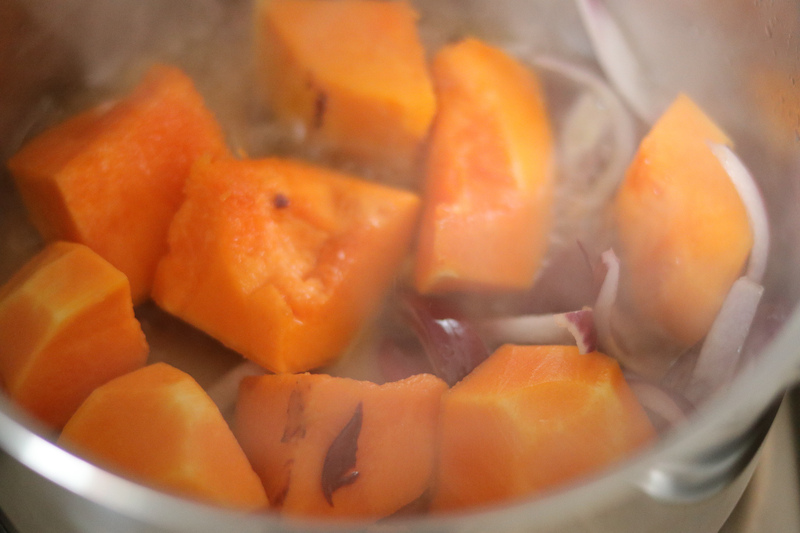 Add a little water.Cover and let cook for 15 minutes, till the butternut squash slices become tender. 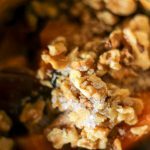 Add walnuts, in butternut squash mix, and stir well. Put everything is grinder, add a little salt and grind to a fine puree. Add water (or vegetable stock), adjust as per the consistency you like .Bring to a boil. Adjust seasoning as per taste. Add a little cayenne pepper(or paprika), freshly ground pepper. 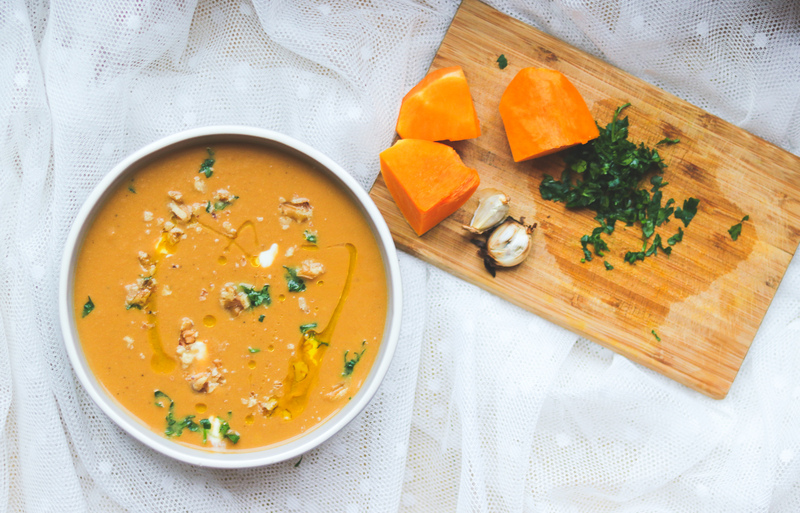 Pour in soup bowls, top with a dollop of sour cream(or fresh cream), evoo , chopped walnuts and watercress. Serve hot, with a side of crusty bread, garlic breads, mini cheese bruschetta, toasted and buttered ciabatta , or even a simple cheese toast. Sperate the garlic pods, and without removing the outer skin, toast these on an iron pan for a few minutes, till the skin starts turning black. Sperate the garlic pods, and without removing the outer skin, keep them on a tray ,in a preheated oven at around 220-230 degrees centigrade, and let them roast for about 10 minutes, till the outer skin starts turning black. To use, just peel the outer skin and add to whatever dish you are making.This can be stored in the fridge, with skin on, for 8-10 days.